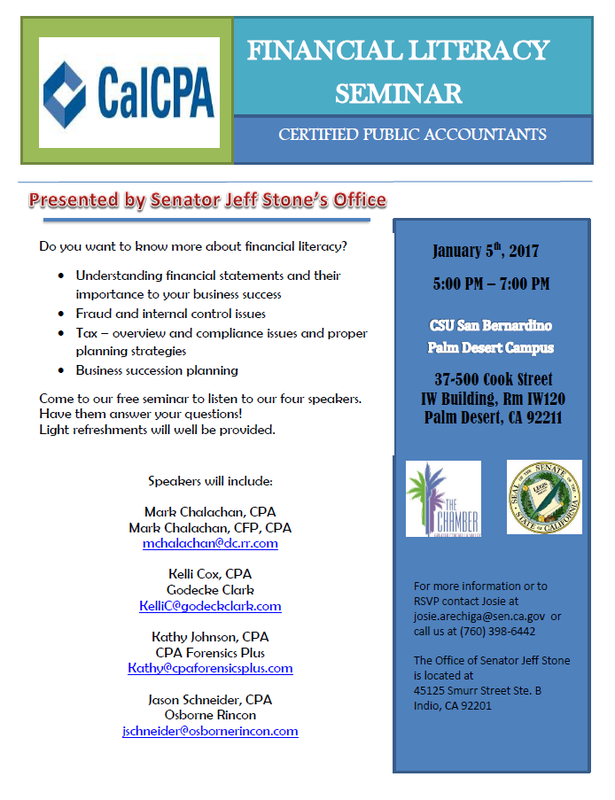 Palm Desert, CA: The Greater Coachella Valley Chamber of Commerce, in partnership with CalCPA and the Office of Senator Jeff Stone, are pleased to announce a free Financial Literacy Seminar designed to help business owners understand the basics of financial statements, tax code compliance, and succession planning. 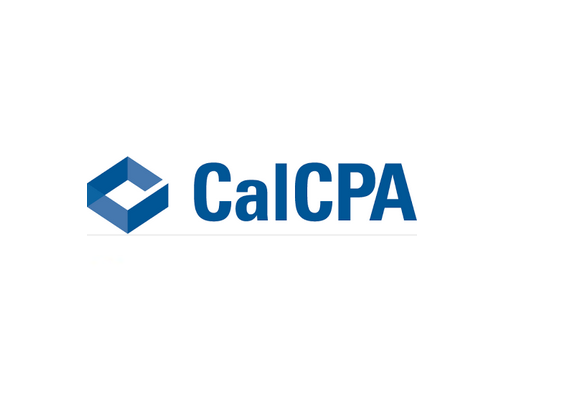 The seminar will be held at the CSU San Bernadino Campus in Palm Desert. To RSVP for this event please email josie.arechiga@sen.ca.gov, or call 760.398.6442.